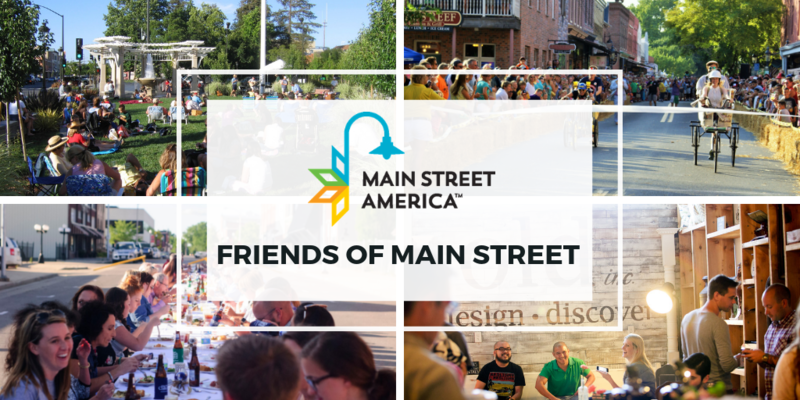 The National Main Street Center is pleased to introduce the Friends of Main Street program! This new membership level gives individual supporters the opportunity to join the Main Street Movement. Across the network, communities are using the Main Street Approach to create vibrant neighborhoods with thriving local economies. Join as a Friends of Main Street member for just $95 a year to help us develop new resources to aid their efforts. One discounted registration to the annual Main Street Now Conference. This year members save $150 – so your membership pays for itself! Whether you’re a proud resident of a Main Street community, a local leader interested in learning more about our work, or an expert in the commercial district revitalization field, we know you’ll find value in your Friends of Main Street membership and we thank you for your support.